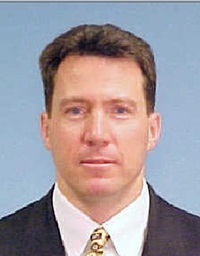 Special Agent Robert Roth died as the result of cancer he developed from being exposed to hazardous materials during recovery efforts at the Pentagon following the 9/11 Terrorist Attacks. Special Agent Roth had served with the FBI for 12 years. He is survived by his wife and five children. Your heroism and service is honored today, the tenth anniversary year of your death. Your memory lives and you continue to inspire. Thank you for your service. My cherished son Larry Lasater was a fellow police officer murdered in the line of duty on April 24, 2005 while serving as a Pittsburg, CA police officer. I pray for solace and strength for everyone who misses and loves Robert . We will never forget the sacrifice made by each of the 9/11 heroes and their families.